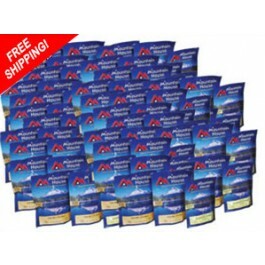 The Mountain House 6 month pouch survival food supply system will provide you with more than enough food for an individual to get through almost any type of situation. With one quick order, you’ll have a fully stocked emergency food supply all ready to go. All the food comes in vacuum sealed pouches, which ensure they will last for at least ten years on the shelf. When the time comes, you can pull these pouches out and enjoy them so you don’t have to worry about going hungry in the event of an emergency. 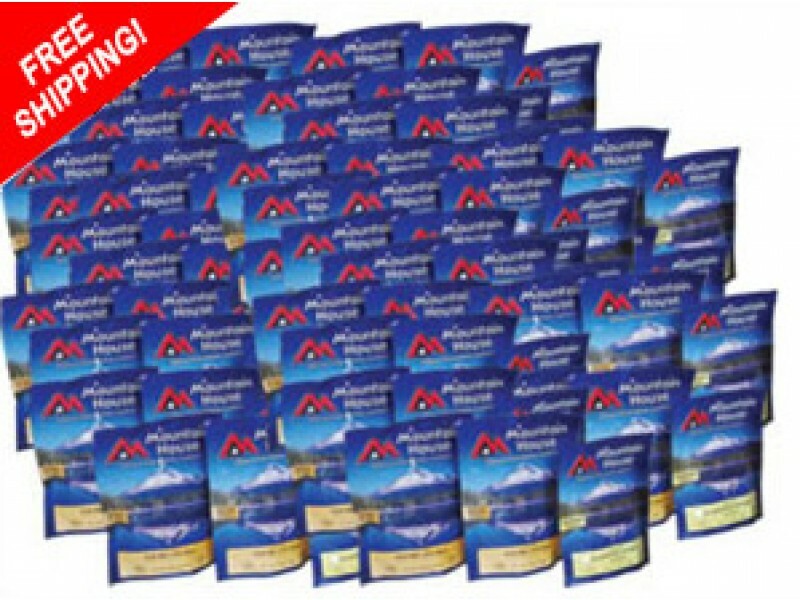 This 6 month pouch survival food system from Mountain House will help ensure that you will not run out of food, even when a disaster strikes. While most weather emergencies really only last for a few days or a week, there are many other risks that could come up that can last much longer. If, for example, the global economy collapses, you won’t be able to visit a supermarket for quite a long time, if ever again. Having this 6 month food supply on hand will allow you to have all the food you need while you adjust to this new way of life. This order contains a variety of different foods for every meal. For breakfast, you can enjoy 42 servings of scrambled eggs with ham & peppers, 42 servings of scrambled eggs with bacon, 60 servings of granola with blueberries & milk and 36 servings of a great tasting breakfast skillet. The lunch/dinner entrees include 18 pouches with two servings each of rice & chicken, chicken a la king with noodles, beef stew, beef stroganoff with noodles, lasagna with meat sauce, chili mac with beef, pasta primavera (vegetarian) macaroni & cheese, low sodium chicken Alfredo and low sodium chicken with white bean chili. You’ll also get plenty of vegetables with 36 two serving pouches of Fire Roasted Vegetables. For dessert, you can enjoy 24 four serving pouches each of raspberry crumble and blueberry cheesecake. This is an excellent variety, which will keep you full, without becoming tired of the same foods every day. Order yours today, and be ready for anything.